Wendy Chamberlain is a regular contributor as a marketing resource for women speakers using social media. You can read her article on LinkedIn here. Wendy Chamberlain is featured as one of the Top International Business Women to Follow on Twitter. Find out here. Wendy Chamberlain joined WomenBuildingWealthThroughRealEstate.com as their guest real estate blogger. See what Wendy was up to here. Wendy Chamberlain was invited by HomeBizChicks.com to be their resident Techonlogy Expert. 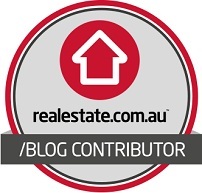 Wendy Chamberlain has blogged for SmartCompany as their guest Blogger.